Looking for deals in Milan? Savona 18 Suites is set in the Navigli district in Milan, 2625 feet from MUDEC and 2953 feet from the Darsena. Porta Genova train and metro station is a 5-minute walk away. This hotel is very clean and modern. 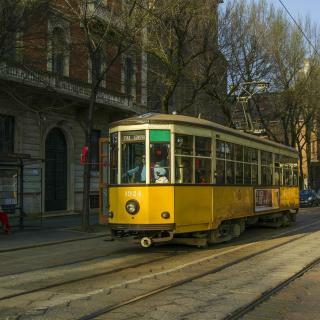 AI SUMA HOTEL offers accommodations in Milan, just a few steps away from Porta Venezia metro and train station and 984 feet from Indro Montanelli Public Gardens. The best value for price of any hotel I have ever stayed at! Offering a free wellness center with an indoor pool and fitness center, Mandarin Oriental Milan features luxurious accommodations located just a leisurely walk from the boutiques of Milan's fashion... Loved the staff. Their warmth. Care. And above all professionalism. With a central location in Milan, the Magna Pars is a luxury 5-star hotel offering ultra-modern suites with free Wi-Fi. The wellness center features a gym with Technogym equipment and a Turkish bath. The perfect place to stay in Milan. I didn't want to leave the hotel !!! Next to the Naviglio Grande Canal, The Yard Milano is in Milan's most popular nightlife district. It offers ultra-modern suites and apartments with free Wi-Fi and Nespresso coffee machines. One of the most amazing boutique hotels we've stayed in. Located on the banks of the Naviglio Grande canal, Maison Borella is in Milan’s Porta Ticinese quarter. Fantastic location and a very stylish nice small hotel. We loved everything about it! B&B Hotel Milano Central Station offers accommodations in Milan, a 5-minute walk from Milano Centrale Train Station and 0.6 mi from Porta Nuova district. Everything great. For the price, functioned as a nice hotel with everything feeling new & clean. MEININGER Milano Garibaldi is located in the Sempione district in Milan, a 10-minute drive from Milano Porta Garibaldi train and metro station and 1.6 mi from Fiera Milano City. Very peaceful place. Great location. Offering free on-site parking, The Hilton Garden Inn is located in Milan's north-east area. Great location! Close to metro stop ! Easy to find! Excellent breakfast! Very friendly staff! Located 2297 feet from Chiaravalle Abbey, 15 minutes' drive from Milan center, Hotel Borgo Nuovo is characterized by a rustic feel. Free WiFi is available. Lovely room. It's very complete and has a very big bathroom. With free WiFi throughout, B&B Hotel Milano San Siro offers rooms with modern décor. It is located in Milan, a 5-minute from San Siro Stadium Metro and a 15-minute drive from the Rho Exhibition... Nice place. Frendly personnel, always willing to assist for everything. We got what we expected. Offering rooms with modern décor, B&B Hotel Milano Cenisio Garibaldi is located in Milan, 5 minutes' drive from Porta Garibaldi Train Station. Very nice rooms, great room service, superb WiFi! Very clean and cozy. Great place to spend a night! Located in the historic center of Milan, just a few steps from the Galleria Vittorio Emanuele and Duomo, TH Street Duomo offers contemporary-style rooms, free WiFi throughout, and a furnished terrace.... Roman who was on duty at the time of my check in was fantastic! Antica Locanda dei Mercanti provides a range of beautifully furnished rooms and suites 1148 feet from Milan’s Castello Sforzesco. Great Location and Staff. Lobes the breakfast. Palazzo Parigi Hotel & Grand Spa - LHW is in the heart of Milan's fashion district. This luxurious hotel offers air-conditioned rooms with a balcony or terrace and a restaurant. Staff were lovely and very welcoming. Velvet Grey Boutique Hotel has accommodations with free WiFi in the Milan City Centre of Milan, a 4-minute walk from Milan Fashion District. Location. Design. Cleanliness. Which hotels in Milan are good for couples? These hotels in Milan are highly rated by couples: The Street Milano Duomo, Hotel Spadari Al Duomo, and Hotel Manzoni. Which hotels in Milan are good for families? Many families visiting Milan loved staying at Room Mate Giulia, Savona 18 Suites, and Magville. Which hotels are the best ones to stay at in Milan? Room Mate Giulia, Maison Milano | UNA Esperienze, and Excelsior Hotel Gallia - Luxury Collection Hotel are some of the popular hotels in Milan. What are the best hotels in Milan near Malpensa Airport? Travelers who stayed in Milan near Malpensa Airport (MXP) have said good things about Sheraton Milan Malpensa Airport Hotel & Conference Centre, Hotel Villa Malpensa, and Idea Hotel Milano Malpensa Airport. Which hotels in Milan have nice views? Velvet Grey Boutique Hotel, Excelsior Hotel Gallia - Luxury Collection Hotel, and Antica Locanda Dei Mercanti got great room view-related reviews from travelers in Milan. On average, it costs $355 per night to book a 3-star hotel in Milan for tonight. You'll pay around $495 if you choose to stay in a 4-star hotel tonight, while a 5-star hotel in Milan will cost around $1,121, on average (based on Booking.com prices). What are the best hotels in Milan near Duomo di Milano? Some of the best hotels in Milan near Duomo di Milano include The Street Milano Duomo, The Art House and Room Mate Giulia. How much does it cost to stay in a hotel in Milan? On average, 3-star hotels in Milan cost $96 per night, and 4-star hotels in Milan are $144 per night. If you're looking for something really special, a 5-star hotel in Milan can be found for $384 per night, on average (based on Booking.com prices). 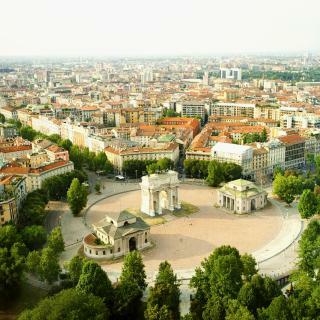 Which neighborhood is the best one to stay at in Milan? Central Station, Città Studi, and P. Vittoria are popular with other travelers visiting Milan. The average price per night for a 3-star hotel in Milan this weekend is $450 or, for a 4-star hotel, $609. Looking for something even fancier? 5-star hotels in Milan for this weekend cost around $2,006 per night, on average (based on Booking.com prices). Which hotels in Milan offer an especially good breakfast? For hotels in Milan that serve highly-rated breakfasts, try Hotel Magna Pars - Small Luxury Hotels of the World, Hotel Spadari Al Duomo, and Hotel Berna. Renowned as the world’s fashion and design capital, Milan is never short on places to see and things to experience. The stunning architecture of the Duomo di Milano and the famous La Scala theatre are just a few of the city’s breath-taking attractions. For a more intimate adventure, the Convent of Santa Maria delle Grazie with Leonardo da Vinci's “Last Supper” lets you view a masterpiece from Italy’s past. 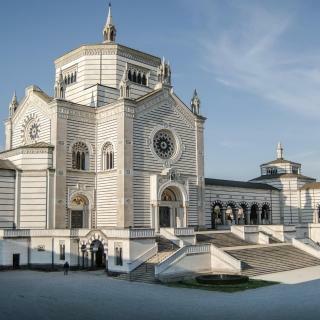 Visit the FieraMilano and Salone del Mobile, among the world’s largest and most prestigious furniture and design fairs or have a stroll in the Quadrilatero Della Moda district to admire unique creations from the most famous Italian fashion brands: Gucci, Versace, Armani, Prada or Dolce & Gabbana. The Navigli and Porta Romana districts are famed for restaurants and bars serving delicious Lombard cuisine and the very popular aperitivo. 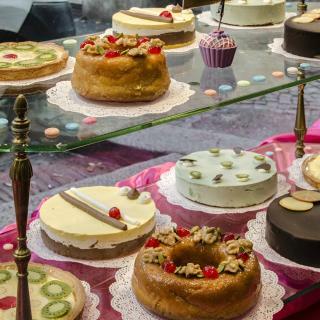 Make sure you try sweet delicacies at the chic Caffé Cova, founded in 1817, or another historical café, Zucca, in the Galleria. Arriving at Malpensa or Linate Airports, you’re only a short trip from the city centre, where you can watch a game at the San Siro or enjoy Milan Fashion Week. Whether you’re staying in a chic apartment, design hotel or budget hostel, Booking.com has a perfect place to stay for your travels in Milan. Milan was wonderful, great adventures all within walking distance from our hotel near Leonardo's Last Supper. The old city was spectacular, beautiful antiquity with a large city feel, abundant places to eat. The church of San Ambrosio was breathtaking in its beauty, while the duomo was breathtaking in its absolute grandeur. The Sforza castle was immense, while the Michangelo we came to see was housed in a beautiful small room that we shared with only a few others. The pickpockets we were warned about must have been on vacation. We were sad to leave. We just stay at the hotel at Milan for one night which is quite too short. The hotel is quite far from everything such as restaurants and train station, but the room was large with great facilities. However, we enjoyed our stay. Arrived at Malpensa airport - miles away - took 8€ coach to town centre, no problem, taxi to hotel, v. cheap Hotel pricey. Just saw the Duomo cathedral and area, v nice, had a good dinner. Took the metro - good clean efficient and understandable - to an industrial estate then a Eurolines bus home from the scruffy bus station. The Duomo was amazing! Worth the time and lines. Such a spectacular building! We ate at a cafe right across the street from Hotel Rio- yellow awning- so nice and friendly there! Getting around on foot is fairly easy. The tram ran right in front of our hotel and appeared to be the way a lot of people got around. We took cabs and that went pretty well. The kids liked the shopping and of course, the gelato!! Location was very good. Close to the city centre, easy to find bus station. The room was small, but comfortable. Working AC was plus! The bathroom was private, which is a great thing. We stayed there for 2 nights, but still they changed the towels. Our room had one window, and we had a view on the street, but it wasn't too noisy. The reception was open 24/7, and we were able to leave very early without issues. The staff was very friendly. 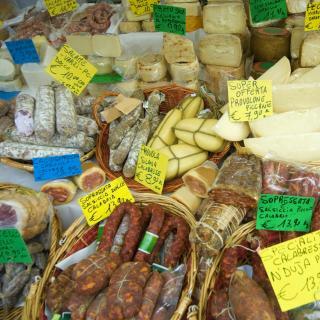 The price we paid was very good as for Italy. Overall, we were satisfied. We stayed in this hotel for one night with my wife when traveling Northern Italy. Room was very clean, quiet and jacuzzi was nice addition for it. Hotel itself is located nicely close to Milano city centre. They provide free private parking behind hotel which was very convinient. In general, hotel and room were very good. However, in 4-star hotel you expect proper information and service and this level was not reached. Our family was very happy with David’s apartments. It’s well-managed and well-equipped. The design of the space was well-thought-out. David was super responsive to all our needs and always show up in half a minute. This is probably the best place we’ve stayed within our two-week trip in Italy. Definitely will come back if we visit Milan again. Several stays in Berna. My favorite connection point when flying Milano. Good breakfast, user-friendly online room configuration, very close to central station, lovely minibar and the small yellow duck, Clippers and shower gem...anything you may need is prepared by the hotel. Really a good place to stay my travel in Italy. 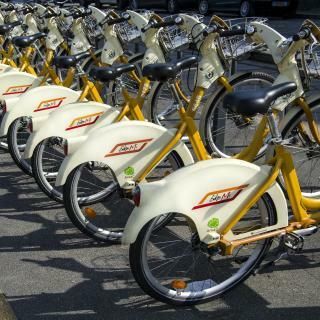 Location easy access to milan city centre and san siro stadium using metro. Also 2 shopping centres within minutes walk from hotel, places to eat,Local supermarket. The hotel was great very relaxing environment great staff to help if we needed. Breakfast was good loads to choose from. Quirky quiet and out of the city centre chaos. The Train station Bruzzanno is within 300 metres of the hotel and takes you straight to the city in less than 15 mins, no hassles. Breakfast also very accommodatiing a huge arrange of choices. Perfect for 1-3 night stop over in milan. Loved everything about this place, absolutely wonderful. Got a free upgrade, breakfast was amazing with a lot of options, the rooms were clean. I can’t praise this place enough, it truly was one of the better hotels I picked in Italy. Will come back! Perfectly located from the train station, close to restaurants and the hop on hop off bus stop, great staff who were very helpful - was looking for a more modern hotel to finish our stay in Italy and this met all expectations. The hotel was perfect for what we wanted. We were only going to be there one night on our way to another part of Italy. The location was perfect to be able to see the Duomo and the surrounding sites. We enjoyed our stay here. Hotel Manin is wonderfully stylish, has a stunning outdoor area, sensational breakfasts, very clean and the service was great. Also, it’s location was perfect, about 10 min walk from the city centre of Milan. Location is perfect for those arriving/departing from Milano Centrale and walking distance from city centre. The hotel seems to be owned by a Chinese family and they're all very helpful. The hotel location is fantastic, close to central station in Milan and not too far from the city centre. Good breakfast and very friendly staff. The room has a good size and comfortable bed. Check in was easy. Location was centered between the city center and some great nightlife. Bed was the most comfortable we had in Italy. Provided hair dryer and toiletries. Elevator. Short walk into Milan city centre. Clean and very nice bathroom. Hotel was modern and great value for money. Breakfast was lovely and staff were friendly and helpful. Great host and excellent location only a few stops from milan city centre. The apartment was fantastic and very clean. The best place we stayed in Italy. Friendly helpful staff, very nice room, great breakfast, 10 walk from train station. By far the best accommodation of our 14 days in Italy. The location is very good in a very active area. The best hotel I been in All Italy with good value. The place was nice. Big tub. The breakfast was phenomenal. Best hotel breakfast I’ve had in Italy.